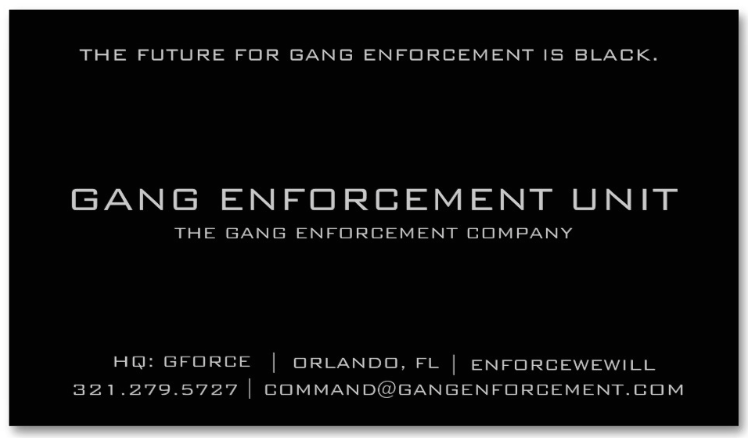 Gang Enforcement's "2-Minute Training Tuesday Tip" is a free weekly audio/video training designed to give you basic "roll call" designed training points extracted from our more in-depth courses in gangology, gang enforcement and/or professional development principles. ​Let's focus on the most common recruitment locations we see throughout the United States and around the world. Gang recruitment is popular at your local schools because many schools do not address the gang presence. There is no better place for a gang to recruit their next member than inside a juvenile justice or correctional facility. This may sound out of place but it's a place where there is an abundance of kids and the parents are not engaged or in fear of a threat. There are a lot of kids usually without parental control where peer pressure can play a role. Another key area where there are a lot of kids, little parental involvement and a lot of egos and peer pressure. The mall has become a popular hangout for both gangs and non-affiliated youth making it a perfect place to seek new members. With an internet connection, gang organizations can extend the audience for cyberbanging, recruiting, or online gang activity to thousands of potential gang members. Gang members younger in Montgomery Co.
MARYLAND - “Have we seen some recent activity and some more violent activity? Yes. Particularly in the last quarter of last year,” said County Police Capt. Paul Liquorie, director of the Special Investigations Division, who met with the group Safe Silver Spring Thursday night. The county saw a spike in gang-related murders late last year. There were eight gang-related deaths in Montgomery County last year, up from one in 2014. One victim was just 15. “We’re seeing younger and younger recruitment,” Liquorie said. CANADA - A lot of people who live in neighbourhoods that are hot spots for gangs are newcomers to Canada and it is their children who are often targeted for recruitment, said Waddell. AUSTRALIA - The head of Queensland’s organised crime taskforce has warned about outlaw gang recruitment and said police would be concerned at any surge in numbers, as the Palaszczuk government considers overturning the state’s tough anti-bikie laws. ​The Australian can reveal several gangs, including the Nomads, have recruited young members from violent street crews operating between Brisbane and Tweed Heads on the NSW border. That wraps up this week's 2-minute Tuesday Training Tip - a couple of reminders - don't forget to share this with your colleagues and if you are not currently subscribed to receive the weekly Gang Enforcement Advisor, and this weekly training tip or you are interested in membership or attending the Gang Specialist Academy; accessible on demand in the palm of your hand then check out Gang Enforcement.com and subscribe today.